Compatible High Capacity Dell laser printer toner cartridge. 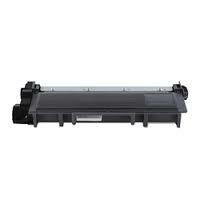 Designed for use in Dell laser printer models E310, E310dw, E514, E514dw, E515, E515dn, E515dw. Page yield same as original part 593-BBLT at 2,600 pages. 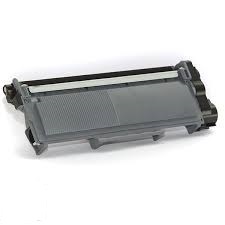 Finding replacement toner cartridges for your Dell Laser Printer just got a whole lot cheaper, easier and quicker. Our compatible Dell toner cartridges are an economical alternative to the expensive Dell name brand laser toners and with a page yield of 2,600 makes it perfect for any small or midsize office and each toner cartridge comes with a new chip to effectively communicate Dell's toner management system with your E310, E310dw, E514, E514dw, E515, E515dn, E515dw printer. Upon delivery, you will immediately notice the impressive professional eye catching gloss packaging, when installed, the advanced compatible imaging technology produces a complete print experience from optimum cartridge performance resulting in excellent output for both graphics, grey scales and text printing. Enjoy guaranteed hassle free printing with Compatible Dell Black toner cartridges engineered to work seamlessly with your E310, E310dw, E514, E514dw, E515, E515dn, E515dw mono laser printers. Reduce office overheads and still achieve high quality presentation invoices, receipts and general office documents. Alternative Dell 593-BBLT Black printer toner cartridge, discount price, first class print quality, full manufacturer guarantee, a premium quality professional product you can depend on and at a price some two thirds less than Dell originals, can your office not afford to change ? Overnight air courier delivery to most destinations.